Do you have a child, friend or Significant Other who has discovered Overwatch and now just keeps playing it, and talking about it and watching videos on it? Do you have no idea what Overwatch is, apart from our recent review? Well, here are a few questions you can ask that will make you seem interested and give them something to say for 10 hours or so. You don’t need to really know all that much, just nod appreciably and murmur, ‘wow’, ‘really?’, ‘why?’, or ‘tell me more’ every now and again. 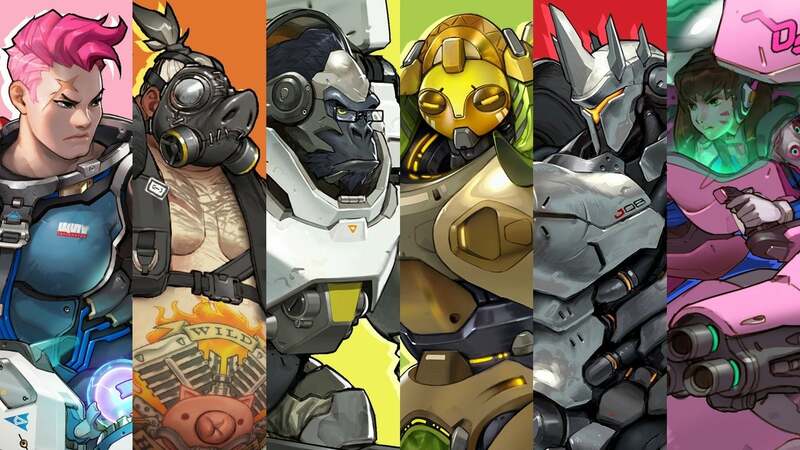 The characters from Overwatch are very diverse in all the ways imaginable: it’s part of what attracts so many different types of people to play the game. Overwatch has 25 playable characters, and they are very different in their skills, abilities, styles, and personalities. They all have varying levels of fan engagement and some of them get players really excited. The most popular include D.Va, the South Korean pro-gamer who has found a new way to apply her gaming skills inside her enormous mech; Junkrat, the hyperactive Australia pyromaniac who is rather fond of explosives; Mercy, the healing-specialist favoured of those who enjoy supporting their team, or Hanzo, the samurai sniper with a bow that can somehow find you from right across the map. In any case, you don’t need to know any of this; just allow them to wax lyrical about why they love their favourite character so much and you’ll be fine. Do you ever Tank, or Heal? Each of the above 25 characters fall into four classes: Offense, Defense, Tank, and Healing/Support. The first two classes tend to favour lone-wolf gameplay, but a team will struggle to win a match if they don’t have players filling the valuable Tank and Support roles. Tanks have a lot of health and tend to attract a lot of attention from the opponents, which disrupts the opposing side and allows the team to get a foothold on the objective. Support classes often heal their teammates (usually tanks, who need it the most) but also help to ‘buff’ (give more firepower), lay static turrets or provide other support. This question helps you discover whether the person you are talking to likes to play as a key part of a team or more individually. Tanks are big and tough, but the bigger they are, the harder they fall. Platform choice is a personal thing, sometimes based on personal preference, cost, game availability, or just what your friends have. 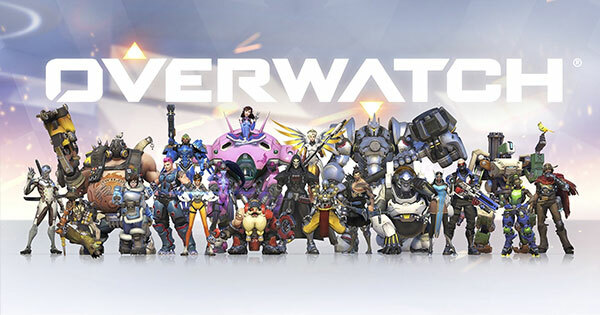 Overwatch is available on PS4 (my preferred console at home); Xbox One (what we run the Game Truck), and PC (perhaps the most ‘serious’ – and expensive – of gaming platforms). It is exactly the same game on all three platforms, but players can only play with others who are on the same platform. Do you play Quick Play or Competitive? These two games modes are very similar, but differ in their level of ‘seriousness’. Both of them comprise what is called ‘ranked matches’, meaning that the teams of six are put together by the matchmaking system to ensure that they are evenly balanced and one team doesn’t too easily dominate the other. In Quick Play, players are given levels based on their performance throughout their career. In Competitive, matches run in ‘seasons’ of several months, just like a physical sport, and players achieve rankings within that season that are then adjusted based on ongoing performance. Competitive is much more serious and difficult but tends to have an even more strong focus on teamwork, strategy and tactics, which is really the core of Overwatch. This question will help you discover how ‘serious’ the player is and whether they prefer a competitive or casual experience. Hanamura is one of the most lush and beautiful Overwatch locations; like all of them, based on a real place but also quite imaginative. Maps in Overwatch are the core spatial structure which the gameplay experience is overlaid upon. All maps are designed to be accessible to all of the characters: they contain long, open spaces for snipers to get a clear shot; narrow, sharp corridors for melee and short-range characters to shine, high spaces for those who can get vertical, and so on. Talking about maps gives an Overwatch player another chance to explain how they prefer to play the game and engage with other players. Do you like Team Chat? As with most online multiplayer games, Overwatch allows players to chat to each other over the internet as they play. There are different ways of doing this, but communications are essential for effective play as this allows for strategising and effective team work. This is particularly important in Competitive matches where winning tends to matter more. It’s also a great way to connect and catch up with friends – I have a friend who moved to New Zealand a couple of years ago and chatting during Overwatch is really the only way we get to catch up. Of course, for younger players some parents aren’t too fond of the idea of having kids chatting with strangers during a game, so this is an opportunity to discuss boundaries around online socialising. So there you have it. There really is a lot to talk about with Overwatch: just ask any fan. These questions will give you a bit of an insight into why the person you are talking to is so passionate about this game, and will give you a rare chance to connect with them when they are not playing, thinking about playing, watching streamers, or otherwise engaging in the wide and diverse culture that Overwatch represents. Who knows, you might even get them to talk you through a match or two? 2 Replies to "How to talk Overwatch in 6 easy steps"
Oh that’s very true! There is s new event (Summer Games) right now so a number of news skins that are getting everyone very excited. Of course they would want to show you the skins and that may lead to a 3-hour show and tell session… juts an occupational hazard of talking about Overwatch, haha.